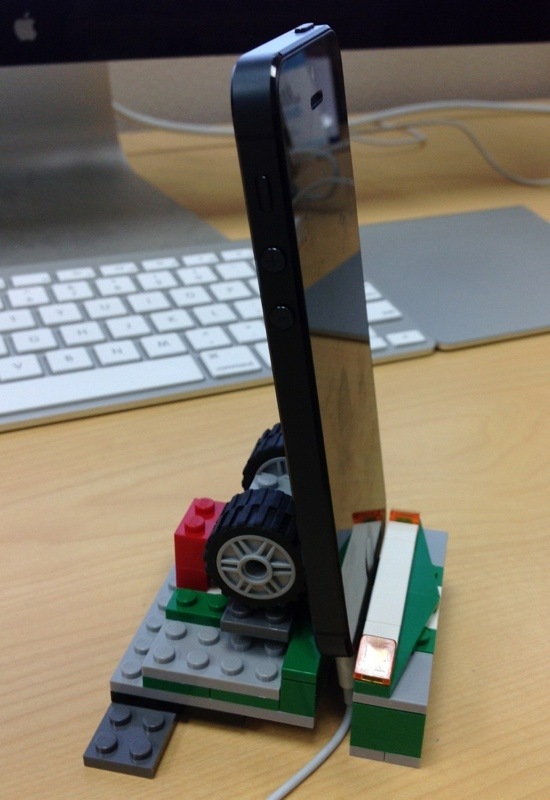 I modified the iPhone 5 dock/stand I made out of LEGO to accommodate the headphone cable (which is now located at the bottom of the phone, and is probably the number one reason that Apple has said the won’t be making a dock for the iPhone 5. Now I can listen to podcasts and music at my desk while using the stand. I also added some cosmetic enhancements, because let’s be honest – half the fun of doing this is tinkering and trying to make it look cool. I still haven’t integrated a Lightning cable of charging/sync, partly because I still only have two cables, and don’t want to dedicate one to living on my desk, but also because kind of like see what kind of battery life I get when I go all day without charging. So far, it’s great. I rarely dip below the 20% mark before I go to bed. There’s space for it in the design, though, and I’ll add it eventually, once I have a spare cable laying around. The angle is just about perfect. It was driving me CRAZY having my phone lay flat on my desk. Partly because I’m paranoid about scratching up the back, and partly because I like to glance at notifications when they come in. Battery life is good enough (and spare Lightning cables scarce enough) that I’m not going to integrate charging yet. And I want to figure out how to raise it enough to allow the headphones to be plugged in (at the bottom). But it’s a start. 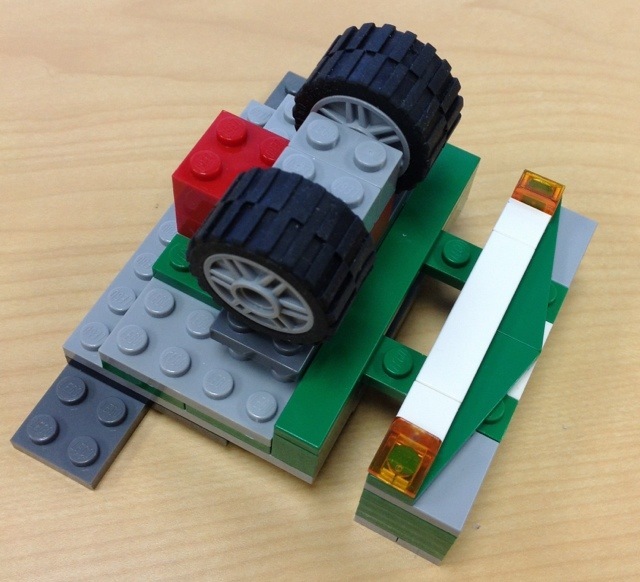 I bought a [Brickcase] a while ago – an iPhone case with LEGO studs on the back. It’s quite cute and geeky, but I’ve never been one to use a case with my iPhone, and I couldn’t use my iPhone 4 dock on my desk with a case, so I stopped wearing it after a few days.